TDA8927 Power stage 2 × 80 W class-D audio amplifier. 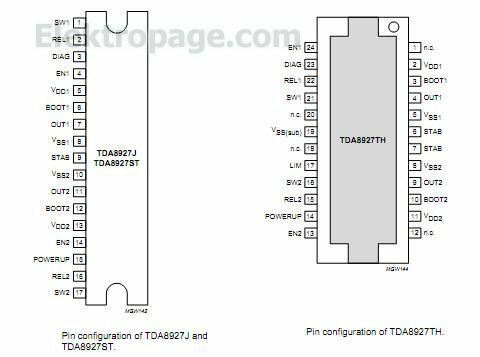 • TDA8929T; the analog controller chip in a SO24 package. With this chip set a compact 2 × 80 W audio amplifier systemcan be built, operating with high efficiency and very low dissipation. No heatsink is required, or depending on supply voltage and load, a very small one. The system operates over a wide supply voltage range from ±15 up to ±30 V and consumes a very low quiescent current.